From left to right: Henrik Mungenast (FBA), Harald Thorud, Michael Bäk, Ilona Lecerf, Chris Spies (FBA), Lorraine Reuter, Timothy Othieno, Maria van Ruiten, Pierre Antoine Archange, Jomart Omonbekov, Lawrence Lachmansingh (FBA), Manzoor Mirza and Lucy Wanjiru Ndungu. Absent was Jone Baledrokadroka. Photo Credit: UNDP/DPA Joint Programme. Below is an article by Ilona Lecerf of the Conflict Prevention and Peacebuilding, Governance and Peacebuilding Cluster, UNDP BPPS on the recent Peace and Development Advisor (PDA) induction course that Lawrence Lachmansingh, Henrik Mungenast and I had the privilege of facilitating as the Folke Bernadotte Academy team. The feedback from participants was very encouraging, especially on the methodology and approach of the "training", which was actually more of a mutual learning experience than a full-blown training course. Power Points were used only in the case of an emergency. The combination of sharing, learning through exploration, and having maximum fun proved to be very healthy and inspirational. 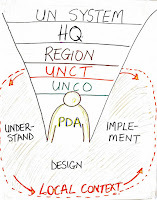 The PDA is supported in the local context by the UN system to analyse (understand), design and implement peacebuilding initiatives. The group was incredibly talented, enthusiastic, energetic and committed. The UN, through its Joint Programme (UNDP and DPA), has invested so much in Peace and Development Advisors over the last 10 years. The results are beginning to show. "The induction for the new Peace and Development Advisors (PDAs) currently deployed through the Joint UNDP/DPA Programme on Building National Capacities for Conflict Prevention took place 1-7 June, 2015 at UN Headquarters in New York. The training workshop presented the opportunity to pilot an innovative approach for induction training for newly deployed PDAs in Eritrea, Ethiopia, Georgia, Maldives, Papua New Guinea, Thailand, Togo, and Uganda, as well as the Conflict Prevention Advisor in Pakistan and JPO working closely with the PDA in Timor-Leste. The week included meetings with colleagues from across the UN system as well as UNDP/BPPS Director, ASG Magdy Martínez-Solimán, and ASG Miroslav Jenča of DPA. 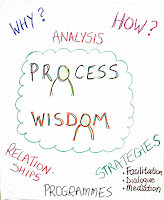 The training, in partnership with Sweden’s Folke Bernadotte Academy, adopted a ‘PDA Process Wisdom’ conceptual learning approach where the PDAs assiduously explored learning areas related to: Understanding > Designing > Implementing responses to conflict prevention and peacebuilding in a peer – to – peer learning setting. The PDAs reflected on their roles and expectations as “analysts, brokers, accompaniers, and perception changers”. In addition to the building of an ”esprit de corps” amongst the PDAs and course givers, the responses received from the workshop participants was a unanimous feeling it had reached its goal of preparing them to provide high-level and thought provoking strategic advice to UN Country teams and national partners. Importantly, the PDAs departed with a better understanding of their strategic roles, a stronger sense of belonging to community of practitioners, and renewed enthusiasm and confidence towards their work. Currently deployed in 34 countries, the work of PDAs represents an innovative approach for the UN in developing nationally tailored capacities to prevent conflicts and build sustainable peace. 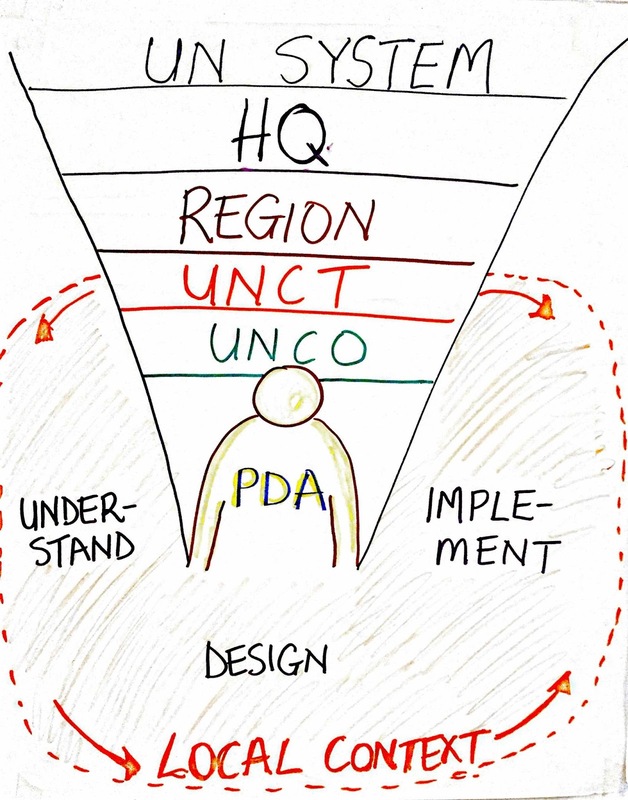 The next PDA induction course will be held in the Fall, 2015. 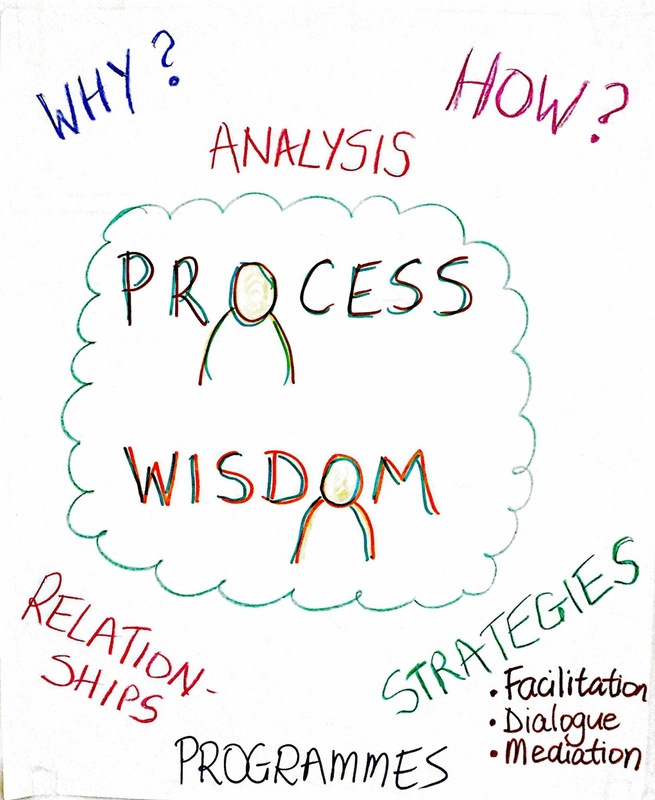 In addition, a global retreat which will take place in the last quarter of 2015 will provide the opportunity for the current corps of PDAs to share how they have progressed in applying the ‘Wisdom’ they gained from their innovative experience of the June course."